Welcome to the first post in the The 50 Project, my year long quest to make 50 book structures. 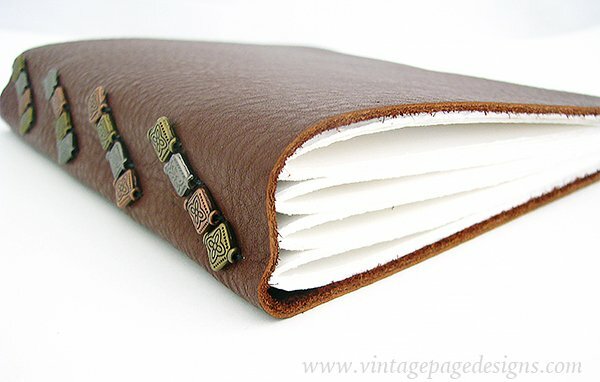 Book number 1 is a tacketed leather journal. 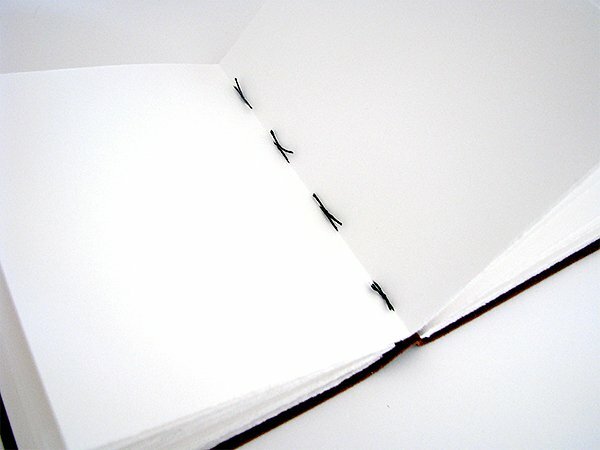 I found this binding in Book Art Studio Handbook by Stacie Dolan and Amy Lapidow, both Massachusetts based bookbinders. 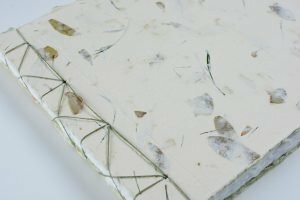 The tacket binding that they outline in the book is a modern interpretation of an ancient book structure that used pieces of leather or vellum like staples. 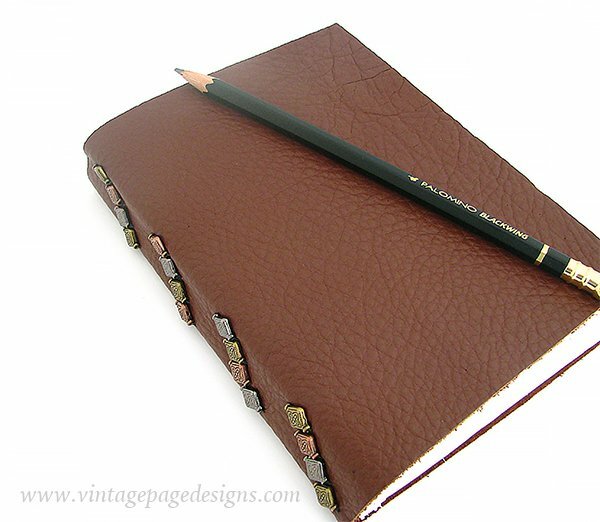 In this new version, instead of stapling the signatures to the spine they are tied with waxed linen thread. What’s great about tying threads up and down the spine is the opportunity for embellishment with beads, buttons, decorative knots, colored threads etc. 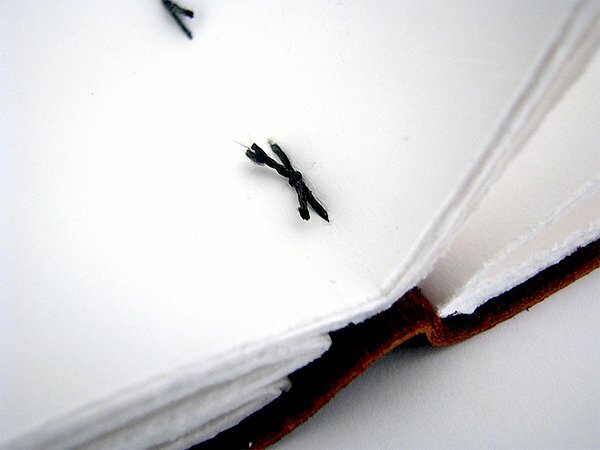 Here’s a look at the stitching inside the book. 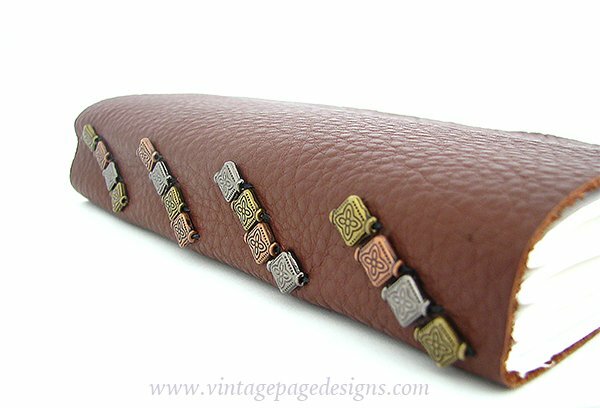 Each of the four signatures are tied four times, with the bead on the front of the spine and the knot being formed inside the book. Creating the punching template was a little tricky because the pairs of holes need to be staggered but it was worth the effort because I love how the spine looks from the outside. And it’s surprisingly secure.